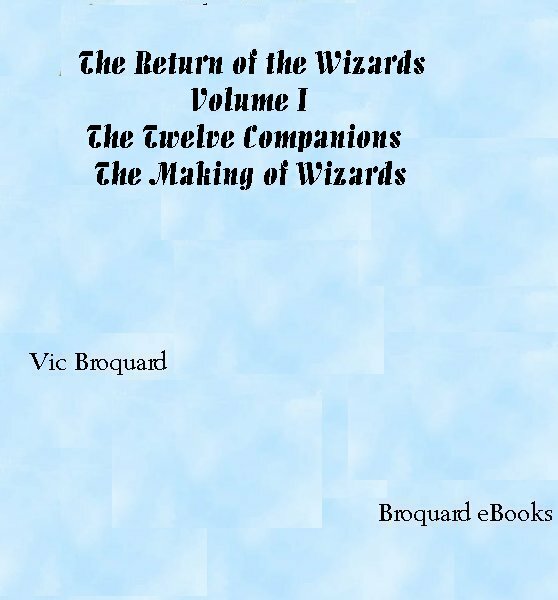 The Return of the Wizards Volume 1 fantasy novel is set in the land of Isel, where at one time, there were great wizards capable of tremendous cause and effects. Now, there are none. The great wizards, the Mizzinti, have disappeared in the abyss of time. What remains in the land of Isel are isolated civilizations of men, dwarves, and elves. The threat of doom has come upon them all. Under the control of an evil wizard, goblins and wild men have begun to pillage, plunder, conquer, and enslave the people of the land. Into these perilous times, eleven unlikely companions attempt to save their people from destruction. As they explore the lands, face new adventures, experience successes and failures, they gain an understanding of themselves and regain abilities attributed to the great wizards of the past. You are invited to explore the methods that the eleven use to obtain abilities far beyond their imagination. Perhaps, it applies to us today. The ebook is in pdf format and is DRM-free so it can be read on any device that can display pdf files! If you do not have the Adobe Reader, Get Adobe Reader by clicking this link.